[SSENSE] Black Friday Sale Starts Morning Nov 19 EST! 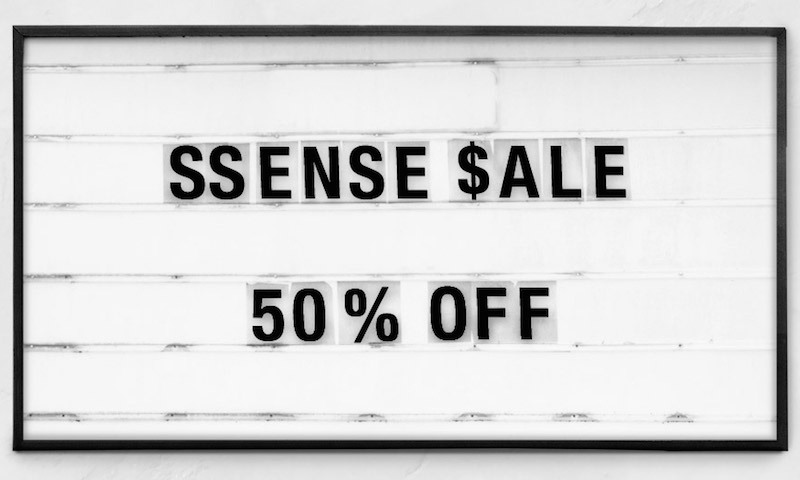 This is a placeholder for the ssense black friday sale. The sale starts morning Nov 19 EST! Last edited by zumi78878 on Nov 18th, 2018 10:59 pm, edited 2 times in total. Ssense just officially confirmed our suspicions! Their annual 50% off Black Friday sale is coming back again this year. This is now their 4th year in a row running this same promotion. You’ll be able to shop the offers at ssense.com beginning November 19th, although you can already get your wish list started today. Happy bargain hunting! Last edited by forjalen on Nov 19th, 2018 8:58 am, edited 2 times in total. What time/time zone does this start on the 19th? wait for up to 70% off, which typically means most things are like 25-40% off lol. Is it everything 50%? or up to?